Camera Obscura is a puzzling platformer game where you play as a female photographer that has decided to explore an old tower full of mystery and great dangers. This old tower is also in complete ruins, the tower is full of pits and platforms that make the tower darn near impossible to explore. Our heroine of this game has found a way to travel the tower as she has a magic camera that has the ability to capture an image of nearly any platform found in the game. Once you have captured an image you are free to move the image around for a short amount of time. What you can do with the image is incredible, you can use the photographs to make all of the platforms you need to traverse deeper into the tower. Finally, we get to see a product of media that uses selfies in a way that's not pointless, annoying, or Kardashian... Or will it? (Click on "Read More" to read the full review). The main story is just a simple tale of a photographer looking for something to take photos of but there is much deeper sub-plot that takes place in this game, this sub-plot can be uncovered by collecting pages that are scattered across the game, the pages give you a deeper look into the truth about the tower and its people. The downside to the sub-story is that you do have to find all the pages to know what it is all about and some of the pages will be very tricky to get to and you'll just give up on grabbing them, so you'll be left with pages missing from the story leaving huge holes in it... But if you are a good enough player, you won't have that problem. The main story is simple (like I said before) but the concept alone is very fun and is enough to make you want to play, plus it'll also make you feel like Indiana Jones. WHIP! WHIP! YEEEEEEHHAAAWWWW! (That "Yeehaw" was all me). 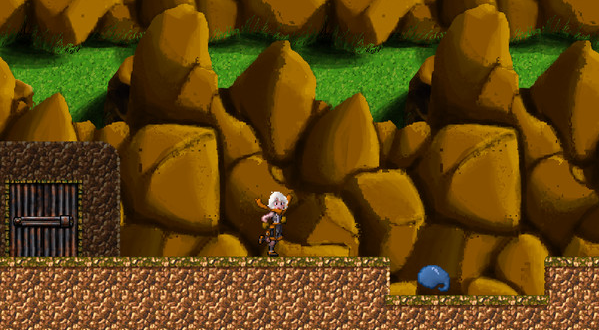 The gameplay has you trying to get to the door at the end of the stage and all while trying to cross over ridiculously tough terrain. The terrain is so hard to traverse on foot due to how a lot of the tower has decayed to where you'd need some grapples and hooks, however you don't need all that as you have a magic camera. The way that the camera works is that you can take a photo of where you are standing and it'll burn an image of the walls, floors, and ramps for a short time. 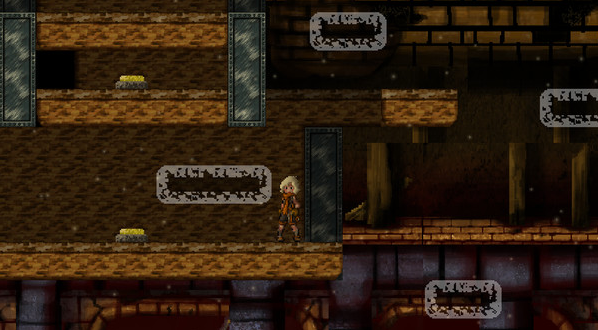 This system will let you be able to create platforms that'll help you get around the decayed levels but only for a short time as the burnt in images of the walls, floors, and ramps will only last for a short time, so you'll have to be quick on your decision. Once you have taken a fresh picture then you can move around and have the image follow you for a second but after that, it locks into place and this where you need to think carefully as one bad move could potentially be the end of you. The downside to this system is that there are some walls, floors, and ramps that have an immune to this power, so be careful. I may have made this system out to be a little confusing and complicated but rest assured, this system is very simple to play but very difficult to master. I really liked the system, it was simple, charming, clever and very effective and I had a lot of fun using it. The difficulty in this game starts off easy as you'd expect it to be but it does get harder as you go along, really hard. The difficulty spikes up fairly quickly and it was incredibly frustrating to where you'll be in tears of shame but once you've beaten a tough stage, you'll be in tears of joy. The reason why this game gets hard is that the puzzles will require some very clever thinking and good timing, so you'll need play near flawlessly to progress through the game. The difficulty is also a downside as it becomes so difficult that it'll put you off the game and never want to return... But you'll force yourself to do so anyway and feel very rewarded for beating the stages. This game does include a level editor and it is very simple to work with and it gives you enough assets and options to help make you make some really good levels. Once you have made a level then you can upload it to the Steam Workshop where people can download it and give it a go. If you are too ashamed of uploading your own level, you can go through the Steam Workshop and download other levels that other people have made and I recommend doing so as there are some really good and really tough levels out there that are worth playing. 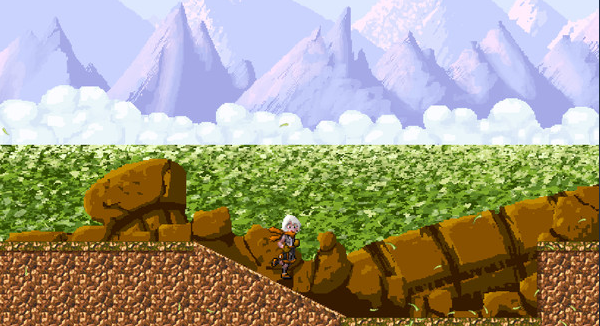 Graphics in this game have a very nice 16-bit 2D look to them and looks like it would make for a really nice looking SNES, Sega CD, Sony Playstation, and Sega Saturn game. The coloring of the graphics is mostly shades of brown but that makes sense as you're exploring a lot of chambers full of dirt and ruin. 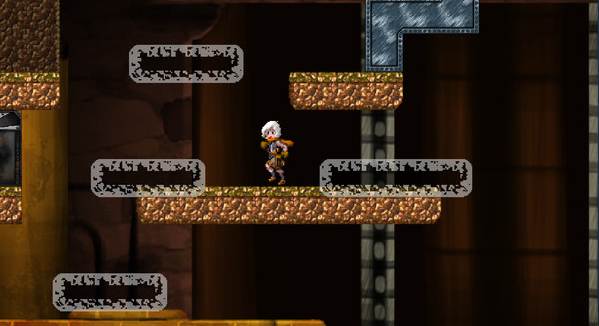 The graphics are mostly clean and easy to make out which is which and what is what but the graphics do have a little bit of pixelation to it but that only enhances the retro 2D look. The animation could've been a little bit better, it looks like that my character is sliding around the ground and floating up into the air rather than walking and jumping and it makes the game look a little cheap. The music in this game has a really nice sound that not only goes well with the game, it also has a smooth and serious sound that makes the soundtrack very enjoyable to feed to your ears. The music also takes me back to games back in the 16-bit and early 32-bit eras of gaming due to it having that slightly muffled and warm feeling. This soundtrack makes me feel like I'm playing Super Castlevania IV (1991) and Suikoden (1995) all-over again. The soundtrack for this game is no way near as memorable as the two games I had just mentioned, still not a bad soundtrack though and is worth buying for when you just want to chill and listen to music. Overall, this is a very well made game that is very fun and very clever but just remember that this game can also get very tough. Worth playing.